Over the last decade,Chelsea has had one of the strongest back four in England as well as Europe. However, since the departure of their longtime captain John Terry, the defensive line has failed to live up to the expectations of their predecessors. Especially this season when the whole Blues have been below average and lacked consistency, the defense has looked more shambolic than ever. The club's first choice centre-back David Luiz is way past his prime, and his Chelsea career looked over under Antonio Conte. The arrival of Maurizio Sarri handed him a revival as the new coach trusted him with first-team duties this season. By putting his faith in Luiz, Sarri has shown little trust in young and promising centre-back Andreas Christensen; who was a revelation under Conte. With the arrival of the Italian, the game time for the Danish international has reduced drastically and he only plays cup competitions and the Europa League. That leaves Chelsea and Sarri with only one reliable option - Antonio Rudiger, who has grown to be one of the best in the blue shirt. Taking into account the above facts, there is no doubt Chelsea will browse the transfer market this summer, to find a strong, the young and long term central defensive prospect. Here are our top 4 picks for the same. The 23-year-old Dortmund defender is one of the reasons why the German club has been Bundesliga table toppers for the most part of the season. The Swiss international joined Dortmund from FC Basel in January 2018 for a reported fee of €21.5 million and proved worth every penny that the club has invested. Akanji has played 17 games in the Bundesliga this season, which amounts to around 63% of the total games played by Dortmund and has been like a brick wall in defense. 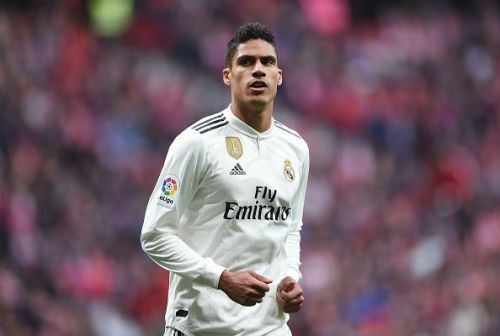 What makes him an ideal option for Chelsea is the fact that he is a ball playing defender, who can send some really good crosses across the pitch for the attackers even from his defensive position. Currently, David Luiz does the same for the team. A partnership between Rudiger and Akanji, if dealt with patience, can lead to a long term strong defensive pairing. This is exactly what Chelsea need as both the players have good sprinting abilities and are great in one on one situations. Who should the top six Premier League teams target this summer?